$0.99 ea. after coupons and RRs! $0.58 ea. after coupons and RRs! Better than FREE after coupons and RRs! What other scenarios have you come up with? 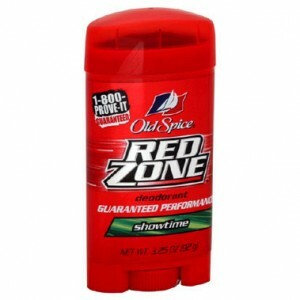 What about Rite Aids deal on Old Spice next week? 12 or 18 oz. Body wash is on sale for 2 for $7. Use a B1G1 coupon to bring total to 3.50. Get $4 +UP Reward (new….like a CVS ECB). So it is a .50 cent money maker. Nice if you dont want to lay out a lot of OOP. I don’t think the Fresh Collection deodorants are $2.99. I think they are more. I was just at Wags and they had Old Spice deodorants starting at $2.99 – $4.49 so it would depend on the deodorants you bought. You have to buy the $2.99 ones for the deal to work. However, you still got a really good deal – $5.96 for 8 items. Thanks. I did get a good deal just thought there was something I was missing cause the coupon wasn’t for the 2.99 deodorants only the fresh collection set. Thanks for your help!! I was just at walgreens and the deo’s and body wash’s were all 2.99, so I accidentally only subtotaled 23.92 (only I didn’t realize b/c she told me the subtotal with tax and it was like $28) and didn’t get the RR, however the manager said I didn’t get the RR b/c I used coupons and RR and only paid out $3 and change. I just said OK and left. But, I’m wondering if I can go back to walgreens and have them redo the deal adding in one more product to take me over $25 so I can get the RR. Will they do this even though I already used my coupons and don’t have them in hand to redo the deal? I’m going to try tomorrow, just wondering if anyone else has had to redo a deal and it went OK.